Whilst Arthur Guinness didn’t invent ‘Stout’ he is the brewer that made it famous around the World. Over 200 years ago Guinness produced a number of different stouts, including a version which was specifically designed for foreign export. This stout was brewed strong, with a high ABV (the modern version is 7.5%), and hopped heavily, which helped it survive the long sea journey to foreign countries, much in the same way India Pale Ale (IPA) was. The beer was originally known as “Foreign Stout” but can now be found branded as “Foreign Extra Stout” or simply “Guinness FES” for short - not to be confused with “Guinness Special Export Stout” which was produced for the Belgian market much later in 1930. 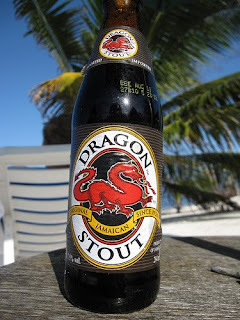 Surprisingly, for a relatively high ABV, strong, dark beer, this “Foreign Stout” proved so popular in hotter/tropical countries such as Jamaica and Nigeria that breweries were built by Guinness to produce the beer locally alongside the bottles that were being imported. However, the raw ingredients such as barley which are needed to produce Guinness are difficult to grow in these countries and as such a solution was needed. What the Irish brewery did was to produce a wort with barley malt and roasted barley, hop it heavily and then dehydrate the mixture to a syrup ready for export. In the case of the Nigerian version this mixture would then be mixed with a local beer made from Sorghum and fermented at the brewery in Nigeria. Now I’ll admit this doesn’t sound like the most appealing or natural way to produce a great beer but trust me, something magic happens during the slightly Frankensteinesque brewing process which creates a truly unique and intriguing style of stout. The Nigerian version of Guinness FES has a really unusual fruity aroma of blackcurrant, strawberry, banana and raisin and a slightly sweeter malt richness with less of a roasted/chocolate character, as well as a satisfying hop bitterness. It also has a slightly lambic sour quality which I’d assume comes from the blending of the older dehydrated beer. It’s a stunning stout which I personally slightly prefer over the version of "Foreign Extra Stout" brewed by Guinness in Ireland. The bottles look almost identical but the Nigerian one has a red ‘Imported’ tab on the front label, and obviously says brewed in Nigeria on the back! Of course, as with any great beer, "Foreign Extra Stout" inspired other brewers to produce something with similar characteristics, and it is the brewing of these stouts which gave rise to a new beer style in its own right - now referred to simply as “Foreign Stout” or “Export Stout”. The characteristics of the style are an ABV of around 6-9%, a slightly fruitier, often sweeter flavour, which rides alongside the big flavours of roasted malt and bitter, herbal hops. Despite the historical parallels with Imperial Stouts, “Export Stouts” are very different, often having much less of a chocolate/coffee flavour and in some ways a more challenging, unusually sweet/sour character, which is all of its own. The thing is, whilst the “Foreign Extra Stout” brewed by these tropical Guinness breweries are arguably the first “Export Stouts” within this style, they aren't necessarily the best, and as I already mentioned there are a number of beers being produced within this style that are well worth your attention. Some of which I’ve actually picked up from African food shops in London, so don’t be afraid to go digging. 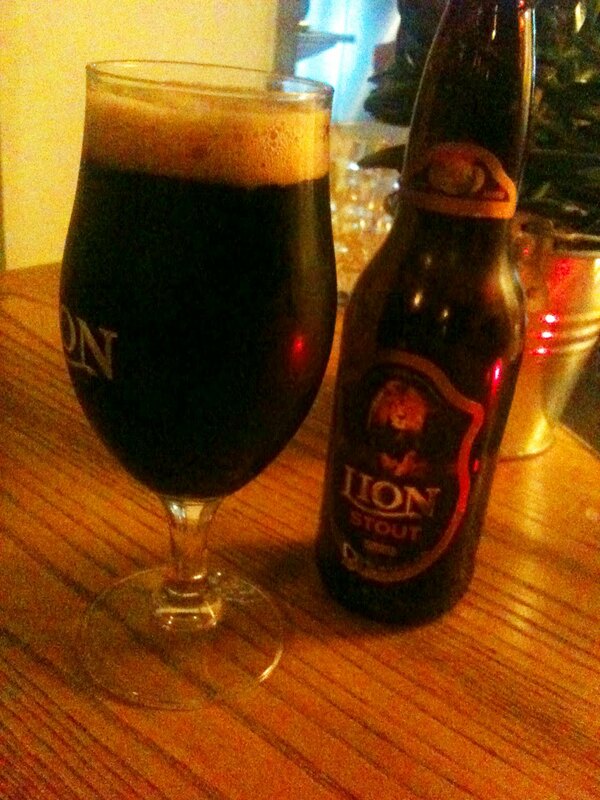 Lion Stout from Lion Brewery Ltd in Shri Lanka is my personal favourite. It’s touching the upper limits of the style with an ABV of 8.8% yet is hugely drinkable, and despite a smell which is dominated by milk chocolate it has a characteristic rich raisin and sour plum character in the taste, alongside a huge wallop of roasted, dry yet sweet malty chocolate and a finish of slightly spicy hops. It’s powerful yet approachable and improves massively if drank between cellar and room temperature rather than chilled. Jamaica Stout from Big City Brewing in, you guessed it, Jamaica, is another great example. At 7.8% this is another one not for gulping, but which displays many of the qualities which makes “Export Stout” so interesting. This beer has a burnt brown sugar and molasses sweetness which gives way to obligatory roasted malt and flavours of savoury celery salt, rich rum soaked raisins, black cherry and a finish of drying hops with a slight burnt wood astringency. This beer was also brewed in the last Wetherspoons Real Ale Festival by Banks under the name 'Big City Stout', at a lower 5% ABV, and was a good beer but a shadow of its former self. Next up is a beer which I can’t actually decide if I like or not, Dragon Stout. It was originally created by Hargreaves Geddes and Eugene Desnoes in Jamaica in 1918, but as D&G Ltd was bought by Diageo (in order to acquire the Red Stripe brand) it’s now technically made by them, although they maintain the recipe is unchanged. 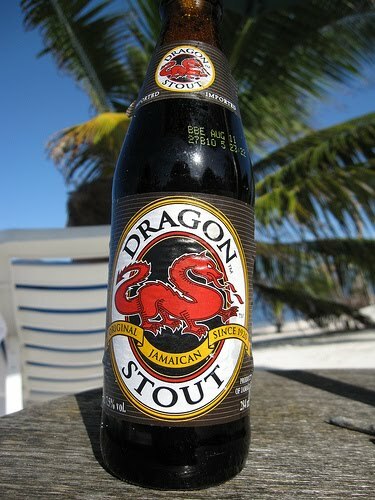 Dragon Stout (7.5%) is a touch too sweet for me although some beer geeks over at RateBeer seem to, well, rate it. It has a dominant sweet mocha flavour with hints of woody underipe mango and banana, and a slight soy sauce savouriness which creeps in when it warms. I’m not particularly a fan but it’s still worth trying. Finally, as well as the fantastic Nigerian version there are lots of different types of "Guiness Foreign Extra Stout" still being produced all over the World, which have got to be worth a go, including Malta, Jamaica, Mauritius, Belgium, and Canada. The Mauritian version brewed under license by Phoenix Brewery is next on my list to try, and I’ll report back on what it’s like after my holiday there in September*. *Serendipitously my girlfriend is half Mauritian and half Irish (that's right, just like the Mauritian Guinness! ), and her Mum and sister both work for British Airways - meaning we can get affordable flights to, and accommodation on, what is undeniably a paradise island... which is also home to a beer I’ve been wanting to try... Bonus! There are undoubtaby "Export Stouts" from Nigeria, Jamaica and all over the tropics and Africa which I haven't mentioned - this is because I havent tried them. If you have please comment below! It’s not just breweries from Africa and The Tropics that are producing “Export Stout” - craft brewers from thousands of miles away such as De Dolle Brouwers in Belgium are also giving it a go, although I’d argue these are based more on the Irish version of “Export Stout” designed for foreign markets (as goes for the Belgian version of FES), rather than the hot-weather hybrids mentioned above, which seem to have a completely unique aroma and flavour, which is what I’m attempting to dissect in this post. Some of the photos are from Beer Advocate, some are mine. 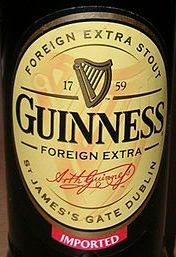 Where did you see the reference to Guinness Foreign Extra being brewed stronger for export? If you compare Extra and Foreign Extra the OG was almost identical from the 1820s through to the great gravity drop of 1917 when Extra Stout began its rapid descent to the current level while Foreign Extra stayed up. The sourness in modern Guinness, I'm told, comes from the addition of food-grade lactic acid. Very interesting post, Neil. I've only had the Irish FES and the Special Export. I'll have to try some strong stouts from outside Europe/the US. Maybe the international supermarket in Chapeltown might be worth checking out. BN - I would have bet my last quid you would have something to say about this! You are quite right though and I have slightly edited the paragraph to make it clearer. Nick - Calls Landing also have Lion Stout in the fridge! Well worth a try. The Foreign Extra is often sold in ethnic supermarkets as you say, but it tends to be the Irish version, the Nigerian version is less widely available and usually costs 20-50p more. But still worth looking as you might be lucky. Must admit to really rating that Jamaica Stout very highly when Wetherspoons did it the other month. The real stuff must be pretty special then. Hadn't realised the one at Wetherspoons was brewed by Banks. Barl Fire -I suppose technically it was simply brewed 'at' banks, not 'by them', as the brewer from Big City brewing was flown over to create the beer. As you can imagine when dropping a recipe from 7.8% to 5% though it lost a lot of the characteristics of the original. Thats not to say it wasnt a good beer - It was a fantastic 5% stout, which I too really liked. But it isn't the same as the real stuff! i haven't taste it for a while now. Its sad that i can't find a Guinness beer in Asia. maybe its only available in US.